These Spirits are made in small batches, ONE AT A TIME! Releases are every 2-4 months. Cannon Beach gets its name from the small cannons (properly known as Carronades) that washed up just south of town in Arch Cape as a result of the shipwreck of the USS Shark in 1846. The Carronade collection gets it name from these unique discoveries. Every once in a while, something fantastic rolls up on the beach, and you just have to be there to experience it. 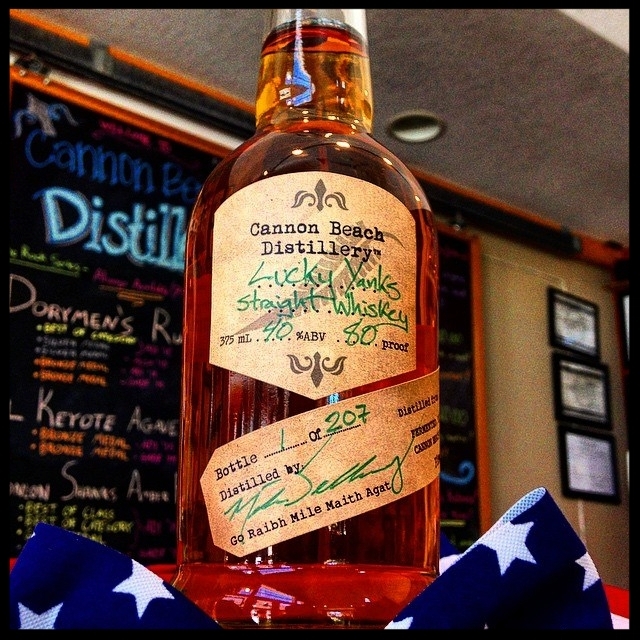 The Carronade Collection is an assortment of single-release spirits, primarily Whiskeys. Every few months we dedicate our growing knowledge of crafting spirits to a new batch. Every batch is distinctly different from the last, never to be repeated. This way we can explore all the classic styles, and create many new ones. It is our goal to not only make extremely unique, high quality spirits, but also experiment with new ingredients and techniques to expand our knowledge of this art form. Each batch in the Carronade collection represents the best of what we are capable of, and our dedication to fact that we can always make it better. 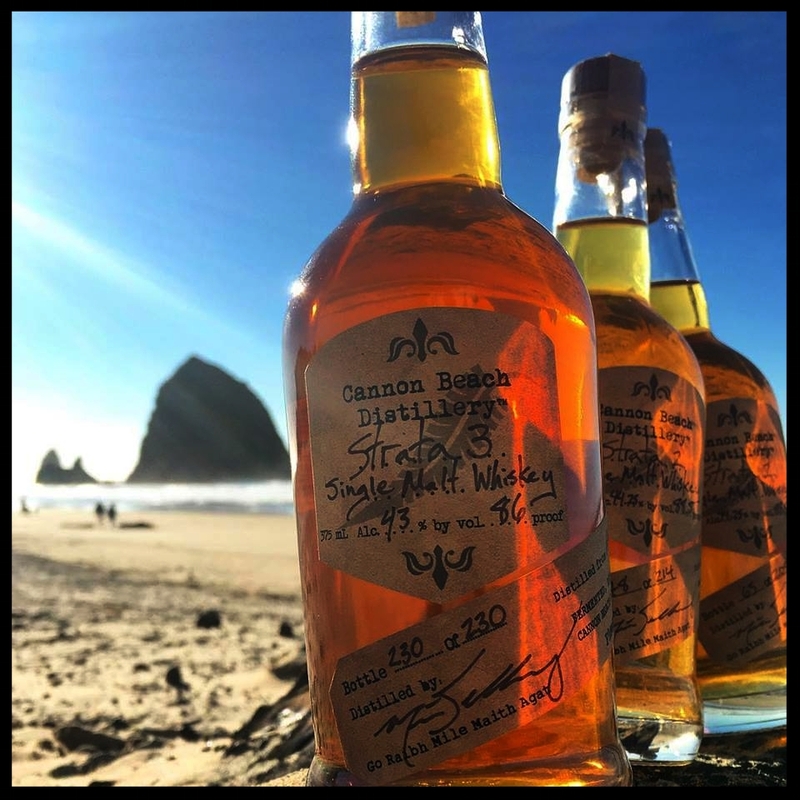 Due to the extremely limited availability, every Carronade release is sold exclusively from our tasting room in Cannon Beach on a first come, first served basis. There is a limit of two bottles per customer. We do not and cannot take phone or internet orders, and we do not reserve bottles. The only way to get one is to be here when they are released. Some of the releases have sold out in less than an hour. Sweet Virginia's balances a high ratio of sweet corn with a noticeable spice of rye. 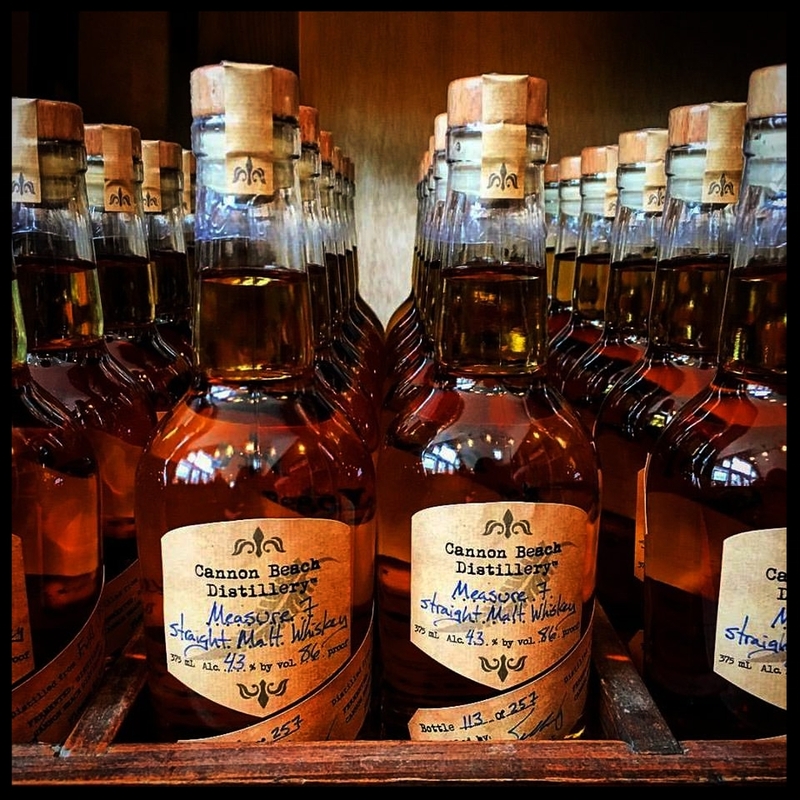 The ocean atmosphere and constant temperature fluctuations in the distillery extracted a warm butterscotch tone from the oak, lingering through the finish. The flavors of the grains needed to be bold going in to balance the amount of oak tone from the smaller cask, but the result was somewhat surprising. The finish is subtle and smooth. One of the best attributes of this bourbon is that is has the rare dichotomy of being rich up front and delicate through the finish. Embered is technically a single-malt whiskey, made entirely of 2-row malted barley. However, half of these malts were smoked over cherry and apple woods. A more pronounced and complex wood tone comes from the heavily charred American White Oak barrels this whiskey was aged in. This is a unique style of whiskey that seeks to highlight the importance of every step of its production. The grains provide an earthy undertone and a host of fruity esters that evolved through maturation in a very recognizable style of oak barrel. Its complexity will keep you engaged as you try to pick out all the intricacies, while a tone slowly builds in the nose and finish that I could only define as 'Embered'. Ring 12 is named in honor of my hard-working great grandfather Walter Gunn, who owned a hardware store in Eden, Manitoba during the early 1900's. Canada is known for its high quality rye crops that supplied the whiskey black market during prohibition. Walter's "business card" was a yardstick that was printed with his information, including a three digit phone number on a party line: 865 - Ring 12. Ring 12 was made with equal parts malted and un-malted rye, accounting for over 3/4 of the total grains used (the rest being barley). It was aged over two years in new, heavily charred American White Oak barrels. This is a bold whiskey from the first whiff. Heavy oak tones balance with the upfront spice of the grains, which both linger long through a surprisingly smooth finish. Ring 12 is a whiskey born from gritty work and hearty grains, exemplifying both with big flavor and a rewarding finish. The result is a smooth, clean whiskey with just enough of a barrel accent to balance the subtle sweetness of the barley. Lucky Yanks is light on the nose with hints of honey, peach and birch. When drank neat, there is a mild heat that comes across as a lemony zing. I highly recommend drinking this whiskey on a large ice cube to bring out a more rounded texture and flavors that are true to the grain. It finishes very smooth with an agave sweetness and a grain richness that develops with every sip. New Branch is a celebration of new beginnings and new ideas. It was named 'New Branch' as a tribute to my brother and his wife who were married between the time this whiskey was distilled, and when it was barreled two years ago. 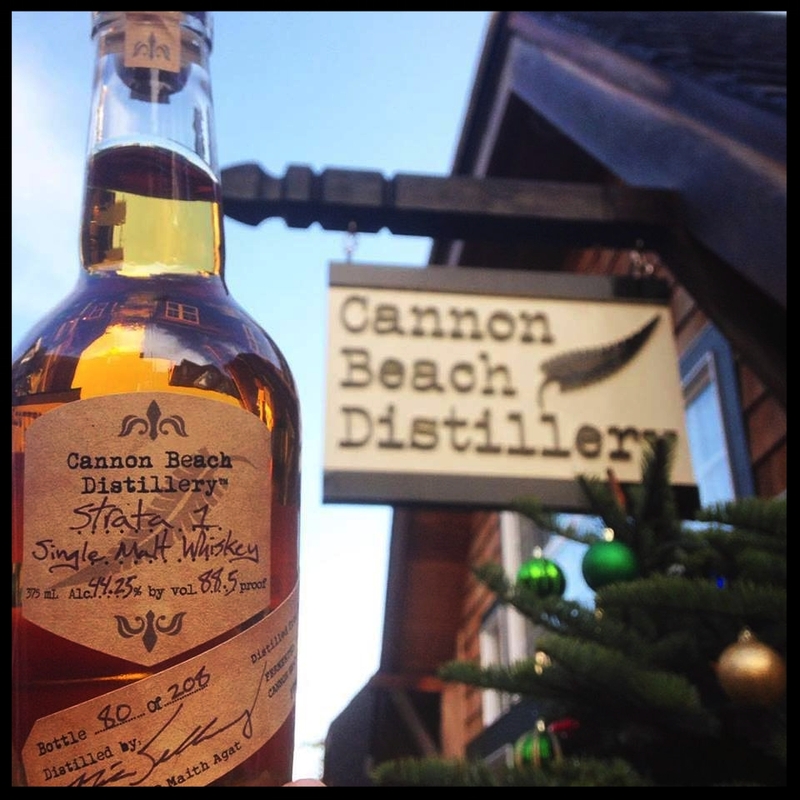 To celebrate the new branch of our family they created, this whiskey was made to represent the first of many progressive styles of whiskeys Cannon Beach Distillery has now, and will produce in the future. New Branch was made from a mash bill (combination of grains) that I used to make stout beer before I started distilling. 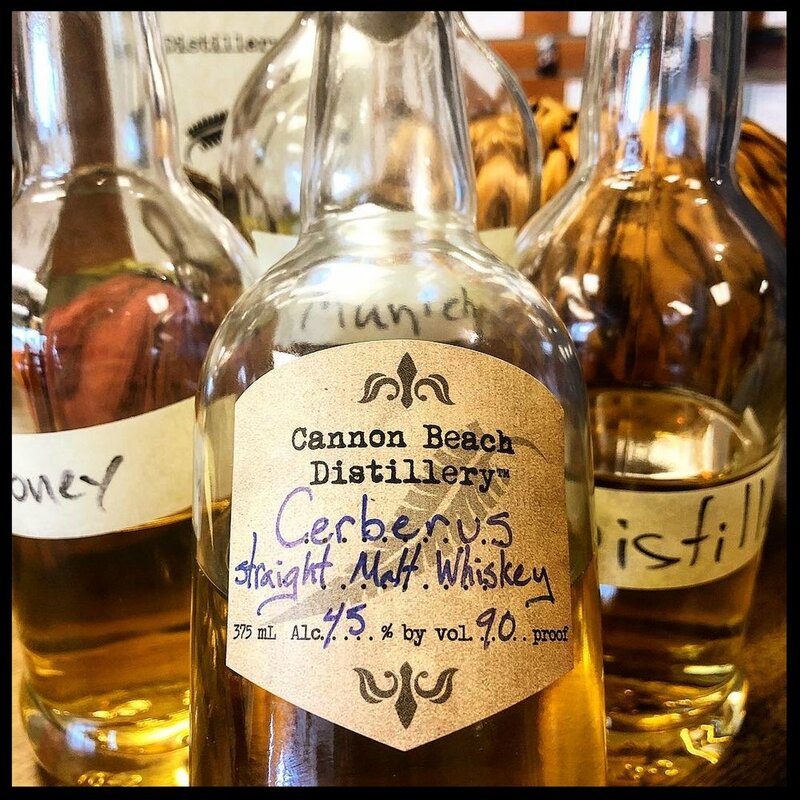 New Branch consists of two different styles of base malts that provide the majority of the fermented sugars and the lighter, sweeter characters in this whiskey. I also used two different styles of specialty brewer's malts for honey and caramel tone as well as a long, drawn out finish of coffee and toasted grain. The result is a deceptively rich whiskey that drinks clean and subtle up front, but develops coffee and roasted barley tones that linger, and confound through the finish. You have to like peat smoke to like this whiskey. Despite the high purity distillation, the aroma and flavor carry a healthy amount of smoke, red and green apple tones and a hint of bread and caramel. The overall flavor is light and bright. The smoke actually balances the sweetness in this whiskey nicely. It was aged in our Sweet Virginia Bourbon barrels to keep in the Scotch tradition. The biggest difference to its Scotch counterparts is the lighter texture and lack of deep, rich tones in the finish. Strata 1 has texture and finish a bit more similar to an Irish whiskey. It is crisp and clean, but leaves the right amount of peat stuck to the back of your tongue. Solera System Info coming soon! 'Eventide' is an old English word describing the time at day’s end, leading into the evening. We found it a fitting word to define such a balanced whiskey that has the sweet, inviting tones of the day, and the depth and long finish of the night. This whiskey is truly one of a kind. Half of Eventide is an equal split of honey malted barley and beech wood smoked barley. We emphasize the sweet aspects of the honey malt by augmenting it with a dash of yellow corn. Chocolate malted rye is used to the same effect to accent the earthy, rich tones of the smoked malt. The result is a delicate balance of slightly tart sweetness that leads into a rich, complex, and everlasting finish. In total, we used: 88% barley, 6% rye, and 6% corn. This combination does not fit any classic style of whiskey, but it was aged for a minimum of two years. That is why it is classified simply as a 'Straight Whiskey'. 'Cockcrow' is meant to be the counterpoint to the 'Eventide' Straight Whiskey. Eventide represents the rich, smoky end of the day, while the Cockcrow is its lighter, brighter counterpart (the yang to the yin, so to speak). It is also the first whiskey where we feature oats in the grain bill. The big differences in the Cockcrow come from the healthy amounts of oats and corn. Corn produces a sweeter tone in whiskey, while oats add a unique 'candied nut' character and a bit more texture. In total, we used: 66% barley, 19% oats, and 17% corn. Once again, this combination does not fit any classic style of whiskey, but it was aged in charred oak barrels for a minimum of two years. That is why it is classified simply as a 'Straight Whiskey'. Cockcrow is an easy sipper. There is a 'pie-crust' sweetness on the nose, complex caramel nut palate, and long developing malty, light coffee finish. The sweetness of this whiskey is nicely balanced with a touch of char from the barrels and a crisp, roasted tone from the chocolate malt. We bottled Cockcrow at 40% ABV (80 Proof), so it could easily be enjoyed neat. Strata 2 has a very similar aroma and palate as Strata 1, with slightly thicker texture. The finish is fuller and carries more of the peat smoke through a much longer experience. This whiskey is clean and readily sippable neat, room temperature. We chose to bottle Strata 2 at the same strength (44.25% ABV or 88.5 proof) as Strata 1 in order to highlight the increased depth and maturity. Stone Roller uses an array of different grains we have experimented with in our past whiskeys to provide a desired flavor. The result became an 8-grain monster mash of carefully selected proportions. The addition of crystal malted and roasted rye add a rich hint of chocolate and maple to the prominent dry rye spice. The pale ale malt and malted oats add caramel, honey, and nuttiness. We are infatuated with the texture and flavor that even a small fraction of oat provides. I’ve always loved whiskeys that keep your palate busy and the conversation rich. Sonora is our attempt to rethink Bourbon. Bourbon is one of the most regulated spirits in terms of how it must be produced. The result of these traditions is delicately balanced whiskey that meshes the intense flavors of freshly charred oak and the unmistakable sweetness of corn. 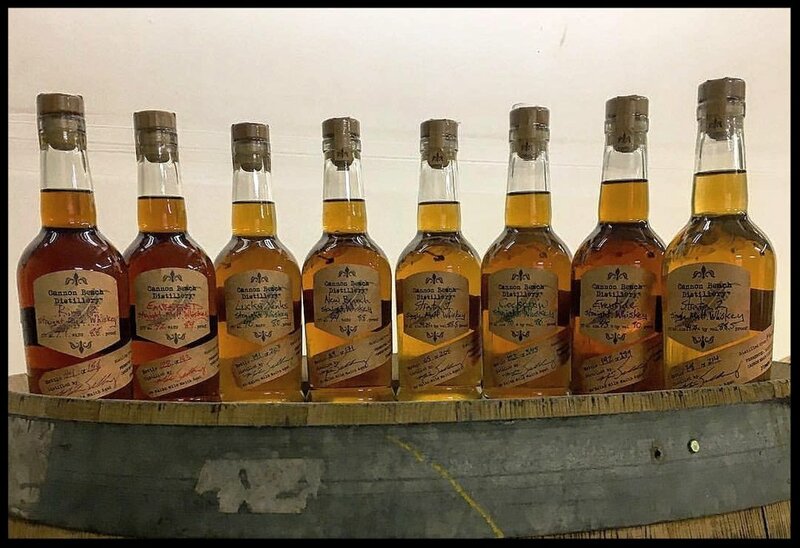 It is safe to say that most Bourbons on the market want to create their own unique identity but won’t deviate too far from the traditional techniques established by the Kentucky big boys. That is not our mentality. There is always room for experimentation. Sonora Straight Bourbon adheres to all the legal requirements of Bourbon, but uses vastly different production methods and a more complex combination of ingredients. Sonora is fermented 'off the grain'. This means we crack, mash, and separate the sugary liquid from the grains prior to fermentation. This is a less efficient, risky process, but allows us to utilize a diverse selection of malted grains that are needed to provide structure to the goopy corn mash. We also believe this process provides a cleaner, lighter character because the grain material doesn't get scorched inside the still. The result is a remarkably complex Bourbon that is easily recognizable to the category, but stews with distinct undertones. The additional malts add a caramel, pecan richness that works hand in hand with the inherent sweetness of the corn. The mesquite smoked malt balances the additional sweetness with a unique dry, woody finish. The smoke is so subtle that it takes several sips for the flavor to develop. Measure 7 Straight Malt Whiskey is inspired by pre-prohibition and prohibition era whiskey. Prior to, and during prohibition, local whiskey makers often barrel aged their whiskey at lower purities than today. Measure 7 was aged at the low, low purity of 98 proof in the barrel. 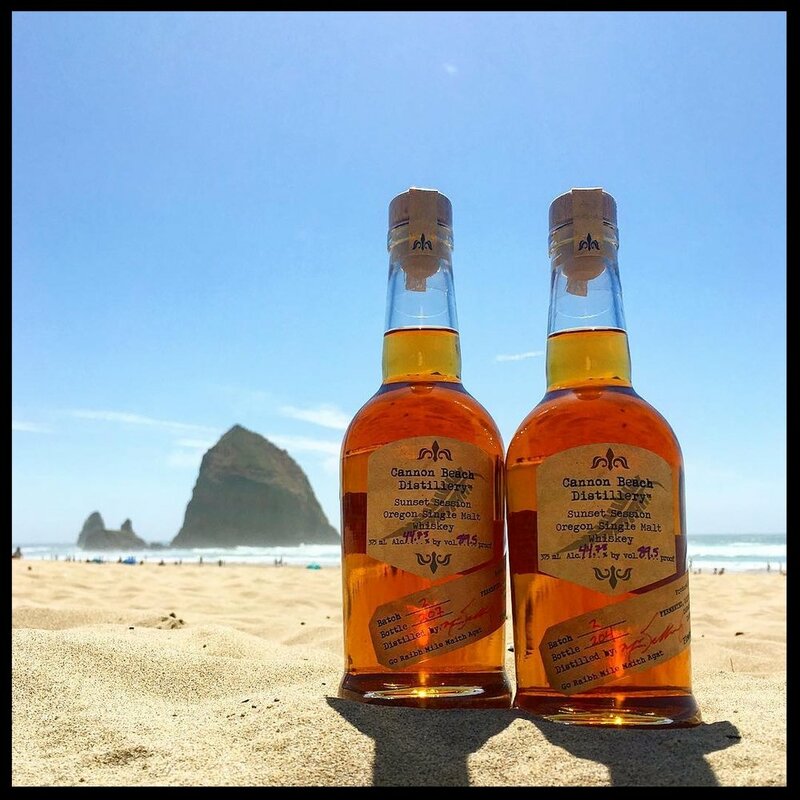 This whiskey was made from 100% Oregon grown Full Pint malted barley. It is a single malt, single grain that is reminiscent of some Irish styles. The Full Pint grain is a spring 2-row barley that was developed by Oregon State University with an eye towards malting and alcohol production. It started being commercially released a couple years ago, and we were able to get our hands on some of the first grains to be malted and sold. Using this unique grain and low purity maturation has yielded a fascinating whiskey. Measure 7 is malty, grassy, and bready with some hints of fruity esters. Sunset Session at 90 proof is deceptively easy to sip. It's very safe to say you have never had a whiskey like this before. The nose has a balance of fruit and woody sweetness. Even as a higher purity light whiskey, the body is not thin or dry, but doesn't coat your mouth either. Immediate sweetness up front dissolves into a savory caramel finish that features a distinct spice of French oak. There is no mistaking it as whiskey, but its uniqueness will keep you pondering, and keep you sipping. remains long and dangerously smooth. If you remember how the solera process works, this evolution makes perfect sense. The maturation and blending process adds increased depth, complexity, and maturity every year. Clurichaun Straight Whiskey is inspired by the Irish style of whiskey making, featuring both malted and unmalted grains. Our first Irish style, the Lucky Yanks, was a simple mix of two types of barley. We decided to step up the complexity in the Clurichaun. First, we decided to use a healthy amount of malted oats that produce a very pleasant honey, nutty aroma and flavor. Oats can provide texture, and they soften the edges of this whiskey while producing a unique complexity to the nose, palate, and finish. Second, we used three different styles of malted barley. Each style was selected for specific flavors, making this whiskey a bit more honey toned, bready, and caramelly, while also maintaining a light body. Third, we used a modest amount of unmalted barley and oats to provide grassy, raw grain flavors that bring the higher tones back to Earth. There is a pleasant undertone of straw and hay that comes from these grains. Finally, we aged the entire batch in used rum barrels to mitigate the oak tone. Most of the large market Bourbons are split into two categories, wheated or ryed. We decided to try something a bit different. Our third grain is malted oats. Oats produce a honey, nutty flavored distillate. The concern was that an oated Bourbon would be too sweet. We chose to age our Bourbon in our two most robustly charred 15-gallon American White Oak barrels...thus Twin Barrel. The result is familiar, but different. There is an undeniable sweetness in the Twin Barrel. You will not mistake it as anything but Bourbon. However, its caramel nose leads to a rich candied Pecan flavor which seems to be a mesh of the oats and corn. The barrel tone is pronounced and leaves you with a slightly astringent finish which is counterintuitive to the sweetness up front. Somehow, we created a whiskey that is both sweet (up front) and dry (on the finish). We highly recommend sipping this one while you do a bit of research on the history of Bourbon. Neither will leave you disappointed, but might leave you perplexed and enlightened at the same time. Sunset Session 2 is very similar to the first release with a couple refinements. We left it in the barrel 33% longer than the original. We also ran Session 2 through our new filtration system that lightened the whiskey and allowed the grain to express more prominently. Finally, it was aged in a similar French Oak barrel, but this one was built by a different cooperage in a different country. Every barrel has its own identity, and this one lends a bit more sweetness and spice than the first batch. In the end, Session 2 is slightly sweeter, lighter, and a bit more refined than the original. We decided to bottle at a very similar proof so you can sip each version side by side to try and dig into the differences. Ultimately, Session is an award winning single malt that sips easy after a hard day’s work. In Greek mythology, Cerberus is a three-headed dog that guards the gates of Hades preventing the dead from roaming free. Like Cerberus, this whiskey is a three-headed monster of malted barley. We blended three unique single-malt, single-grain whiskeys into a deeply complex, satin smooth spirit. The first grain we selected was Baird's 1823 Heritage Collection Distiller's Malt. The second grain we selected was a Honey Malted Barley produced by Gambrinus Malting in Canada. The third, and last, grain we selected was a Munich Malt from BestMalz out of Germany. All the best aspects of each barrel are easily recognized and mesh together into a beautifully complex, full flavor whiskey.